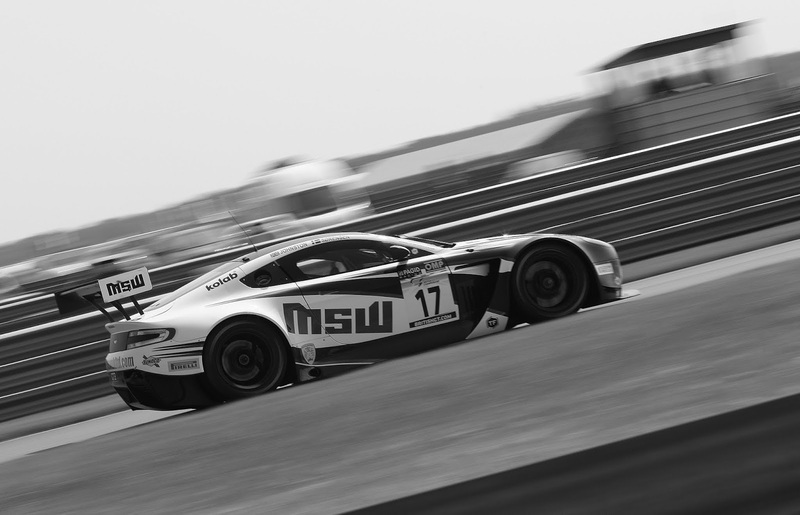 The official Aston Martin Racing Festival is not due for another couple of weeks over at the 24 Hours of Le Mans but last weekend's third round of the British GT Championship was a mini festival in itself as the marques GT3 and GT4 customer teams excelled themselves at Snetterton. 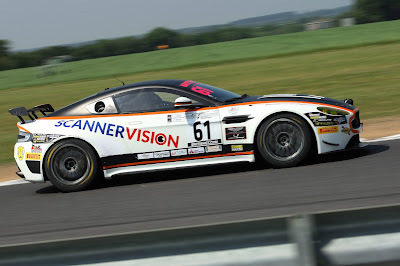 With Snetterton again featuring as the second two - one hour sprint races of the season (after the wash out that was Oulton Park earlier this year), it was TF Sport who again took the GT3 Qualifying honours with the teams #11 car of Mark Farmer and Nicki Thiim each taking pole position in their respective Am and Pro sessions. 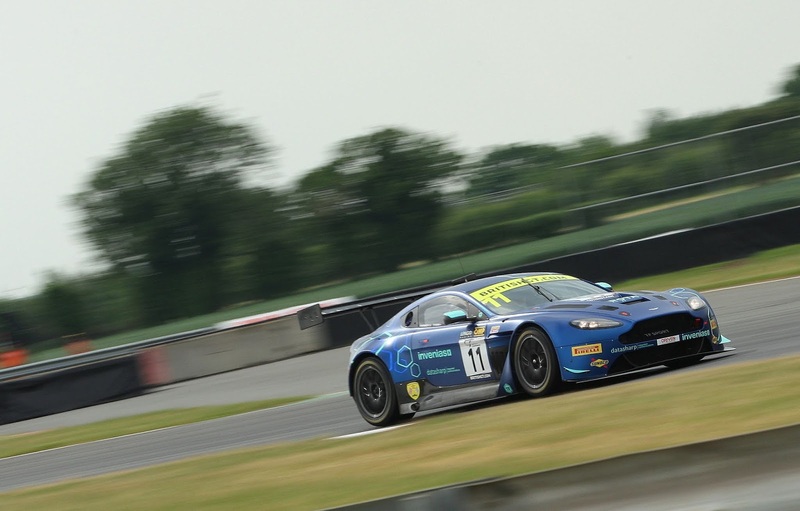 Not to be outdone, Matt Nichol-Jones would also be starting Sundays second race in his Academy Motorsport V8 Vantage GT4 he shares with Will Moore. Saturday's early chilly and slightly damp weather had been exchanged on Sunday for a glorious day of blue skies and mid twenty's air temperature allowing for the seasons first proper race meeting with the new Pirelli control slick tyre. Sundays first race was the turn of the cars amateur drivers to take the reigns with Farmer quickly establishing himself a several car length lead from the off over the chasing Graham Davidson aboard his #47 Jetstream Vantage GT3. Chasing them down in his #99 BeechdeanAMR car was Andrew Howard who unfortunately soon had reason for an early and unscheduled pitstop visit having had both the #75 Optimium Vantage and #24 Nissan each assault the opposite corners of his #99 car requiring two new tyres - by the time he exited pit lane he would be almost a lap down to the leader. Fate did provide the Beechdean car with hope however as a Safety Car (called to retrieve a stranded car on track) allowed them to catch back up with the rear of the pack but their decision to pit a lap later than the others came as the track then went green and that would quickly loose Darren Turner everything that they had just made up. Despite loosing the lead just before the pitstops, a technical issue from the Jetstream crew allowed Thiim to exit pit lap ahead of them to recover the lead - a lead that he would maintain until the end despite Maxime Martin's best efforts who would bring the #47 car home in second for their first championship podium. 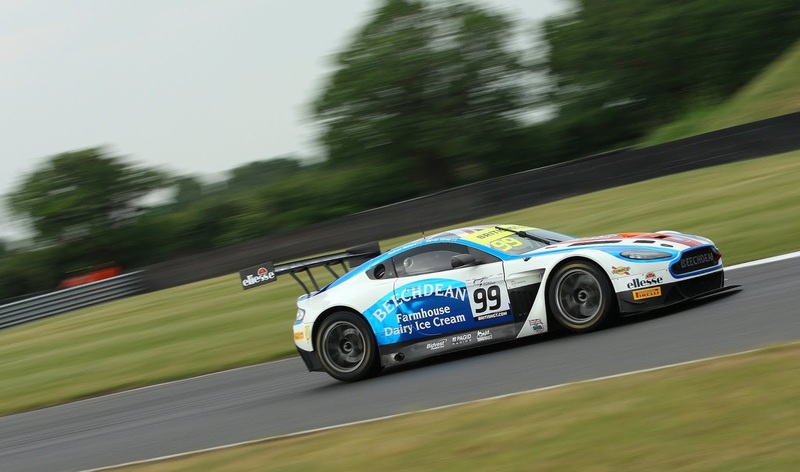 Despite the #75 Optimum car of flick Haigh and Jonny Adam claiming fourth at the chequered flag, a post race penalty for that contact with the #99 Beechdean car would see a 30 second penalty applied and that would drop them down to P9 overall. That decision (we understand) is being appealed by the team? An equally intense battle meanwhile had been taking place in GT4, again with a much older Aston Martin car battling still very competitively against much newer European machinery. 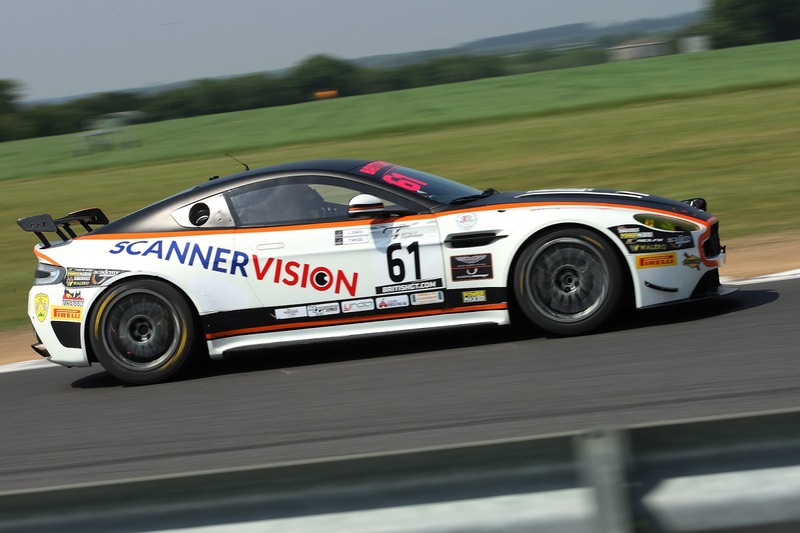 Sadly for the #61 Academy car of Jan Jonck and Tom Wood, a persistent engine issue would see them down on power so they would struggle in both races but the sister #62 of Moore and Nichol-Jones would however have a cracking race to just loose out of a P2 class finish by just half a second. 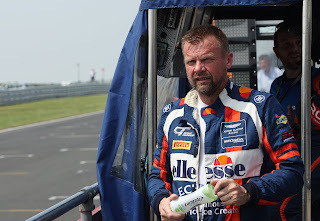 With race 1 over, Aston Martin Racing's MD John Gaw was already wearing a positively satisfied expression on his face ahead of his Pro drivers taking to the track again for the start of race two later in the afternoon with the #11 again at the head of the pack. 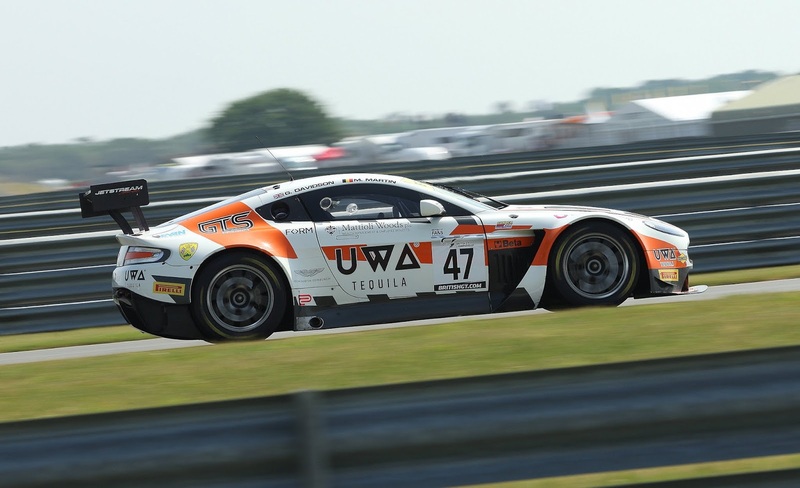 All good practice for them as they look forward to the Le Mans test day next weekend aboard the all new GTE. 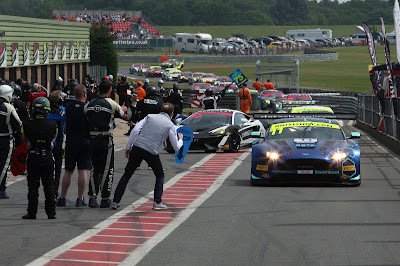 Ultra competitive as they are, it didn't take Marco Sorensen long to dispatch the normally very quick Barwell Lamborghini of Phil Keen to latch his #17 TF Sport car onto the rear of his WEC team mate Thiim ahead having started from the second row of the grid. An early Safety car for another stricken McLaren GT4 didn't effect matters too much as the two TF Sport cars began to stretch their legs - Nichol-Jones however was having a battle royale as the two Century BMW GT4's harried him for their class top spot. After the mandatory stop the #17 of Derek Johnston and the #99 Beechdean each came out ahead of Farmer in his #11 car they had to serve an extended minimum pit stop time but that permitted us another racing spectacle as the two former British GT Champions diced until the end. Despite his best of efforts Howard had to settle for P2 which must have gone somewhere the appease their disappointment of race 1. 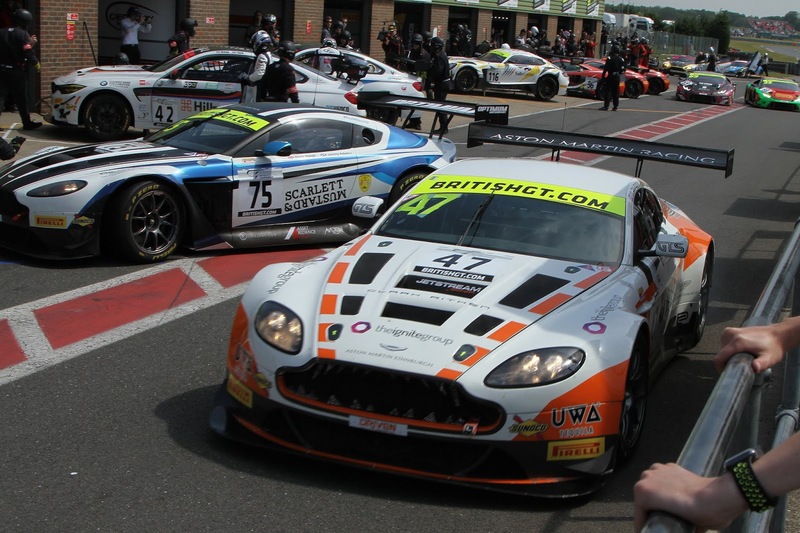 The timing screen did for a time indicate a first to fifth dominance from the AMR teams in the GT3 class but Graham Davidson would soon be penalised with a 30 second penalty post race for a lunge on the #33 Barwell car that saw Jon Minshaw spin off. 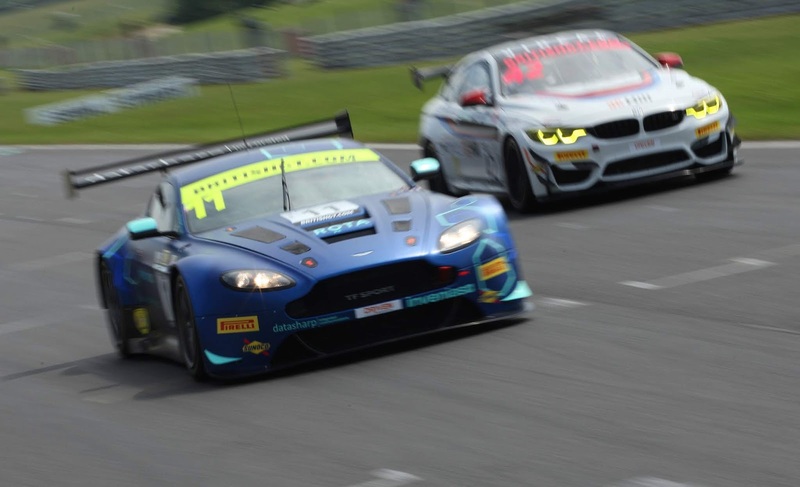 With TF Sport and Beechdean making a clean sweep of the GT3 podium the two very burly figures of Will Moore and Matt Nichol-Jones again made their way to the podium in the GT4 having finished P3 for the second time in the day. 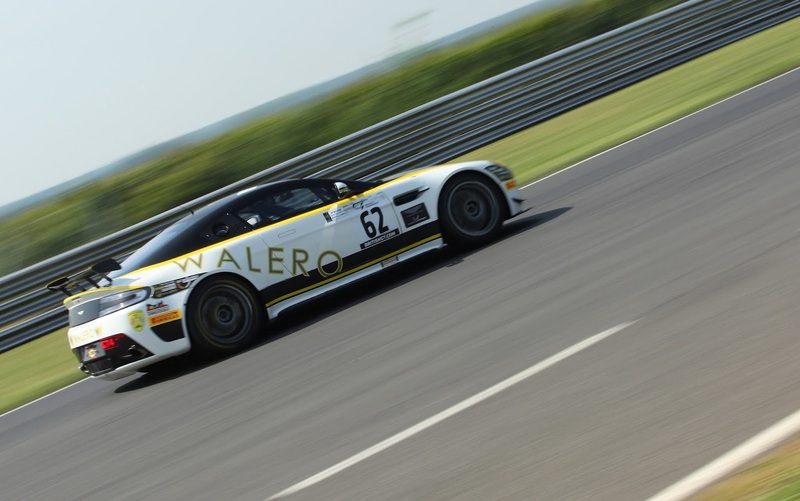 All in all it was a pretty comprehensive performance from the venerable V12 and V8 Vantage. 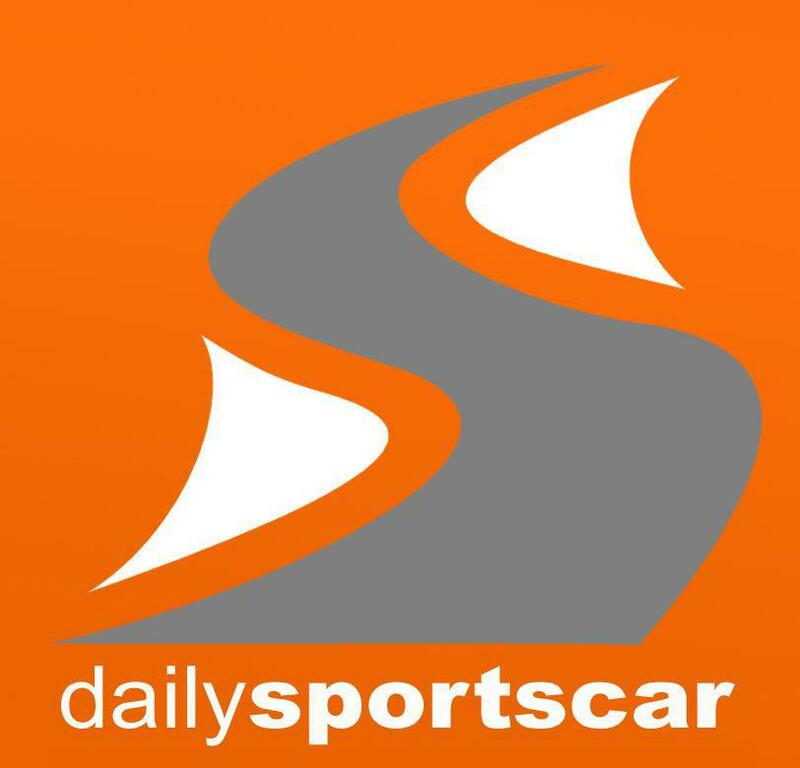 Admittedly the #61 Jonck/Wood car had issues that couldn't be identified and fixed in the time available between the two races so that must have been extremely frustrating for those youngsters. Equally, the Optimum car of Haigh and Adam had been on the back foot all weekend - firstly a main bearing issue with their recently rebuilt gearbox and then a handling issue that sounds very reminiscent of that Adam and Johnston suffered last year when they raced together at TF Sport. Of course, the beauty of running two identical cars is that you can split strategy and that is what happened with TF Sport leading into Qualifying. Both cars had a similar issue - two possible fixes with the #11 car picking the right one hence two pole positions. 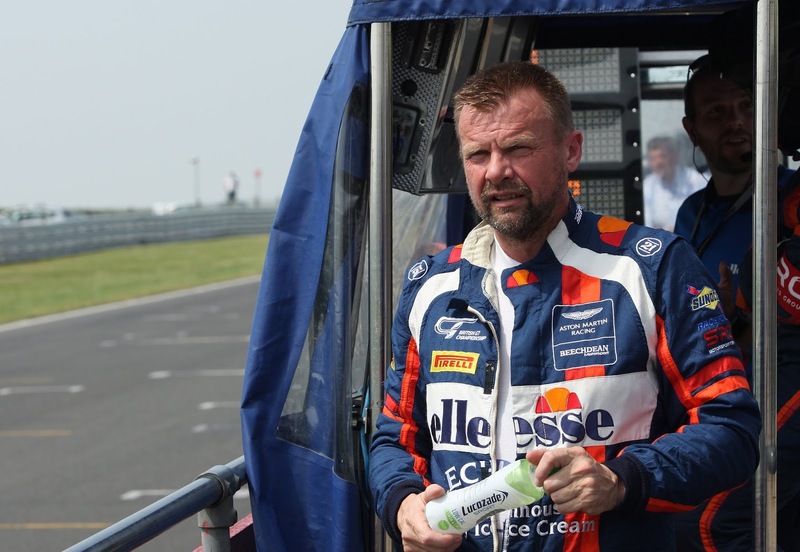 Despite their dominance at Snetterton, the highest AMR team in the Championship table is Beechdean AMR still 12 points behind the leading ERC Sport duo of Yelmer Buurman and Lee Mowle as the championship moves to Silverstone in two weeks time. 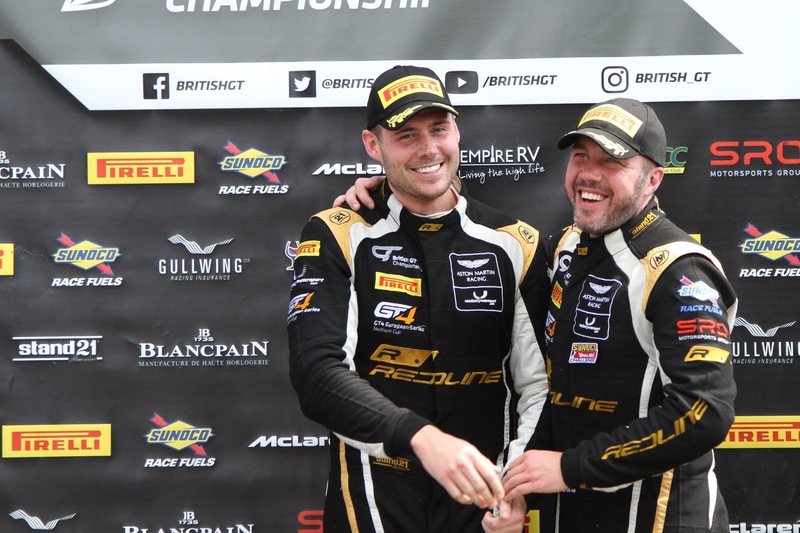 For Nichol-Jones and Moore, these two podium positions see them elevated to P3 in the GT4 Championship. 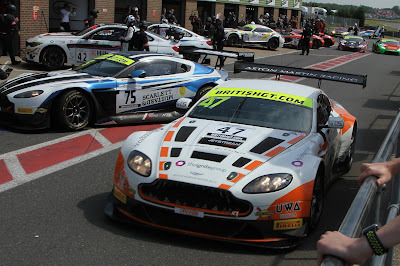 As we already know, once the Silverstone round has finished many will be moving over to France to compete in the Aston Martin Racing Festival at La Sarthe which again runs in support of the World Endurance Championship flagship event in mid June.